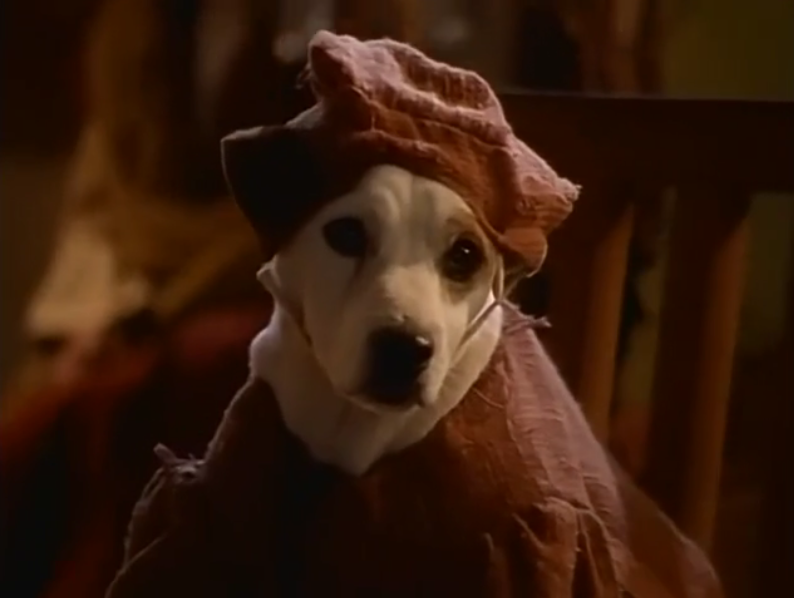 Is the Wishbone version of The Hunchback good? Well it’s not bad, I would rather watch it than some of the other versions but that could be because it’s ten minutes and for that reason its flaws has to be forgiven. There is only so much you can do with ten minutes in a story. For a version that is ten minutes and only has three characters, it’s good. 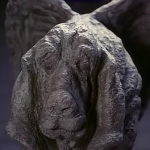 You can tell that that the production cared about the work and the story. Like when Frollo is talking about Esmeralda all his dialogue is taken from the book. Also given that there in only like five scenes Quasimodo does have an arch. He realizes he isn’t powerless and saves Esmeralda. I also don’t mind Quasimodo silly quips, they make it fun for kids. 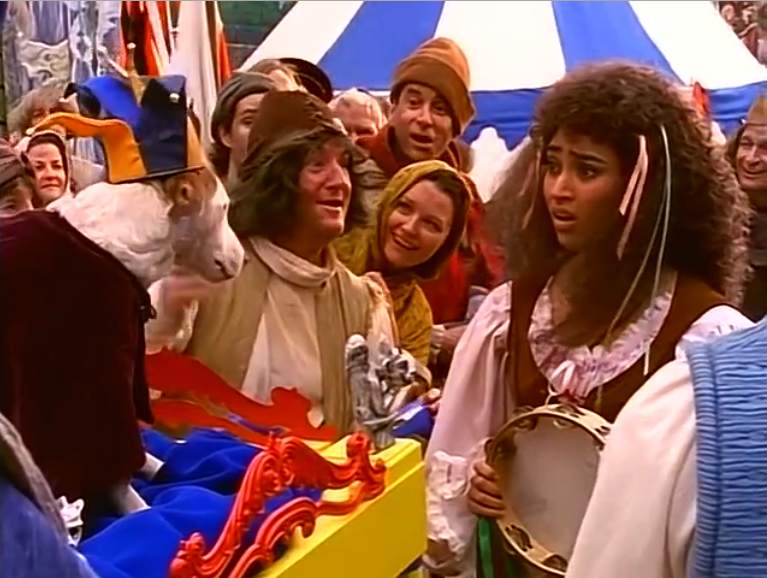 Also Esmeralda gets a bit of character arch as she learns that about inner beauty but that is a bit of a stretch. However there are some issues with it. For a ten minute version we’re not going to get rich detailed characters of the novel instead we sort of get them. At least by focusing the narrative to three characters at least they’re not completely devoid of personality but they are shades of their book counterparts. 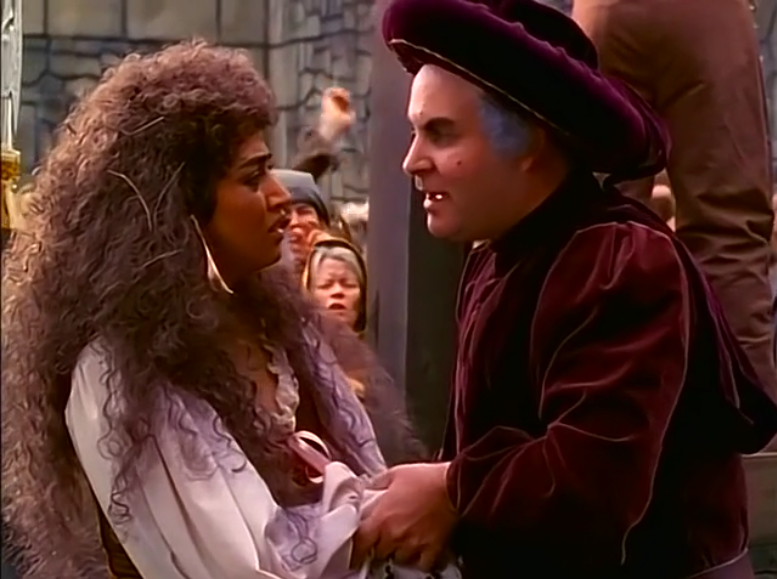 The introduction of Frollo is clumsy. Frollo ends Quasimodo’s being the “Prince of Fools” however Quasimodo doesn’t recognize him so Frollo has to explains who he is to both the audience and Quasimodo. It doesn’t feel natural and how would Quasimodo forget Frollo? 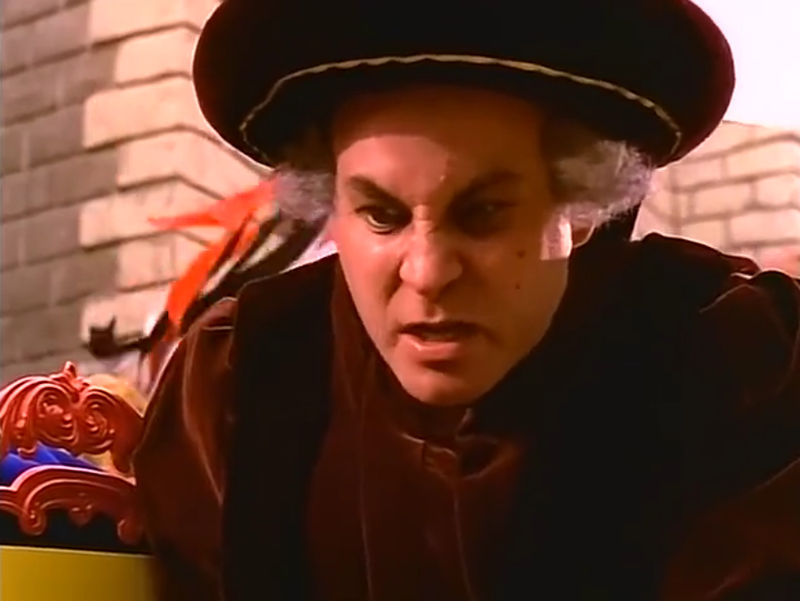 Also the way the pronounce Frollo’s name is awful. They pronounce it like Dom “Fro-yo” which sound like a specialty Frozen Yogurt (I bet it would be chocolaty). I do miss the devotion that Quasimodo has for Esmeralda. In this version he seem like yeah he likes her but he is not love with her. It is a bit disappointing that it ends with Quasimodo saving Esmeralda but at least it feels like an ending to the version of the story they were telling so it’s not that bad. After-all that is pretty much where the Disney version ended and this came out first. For a ten minutes version with three characters and 5 scenes it’s is good. 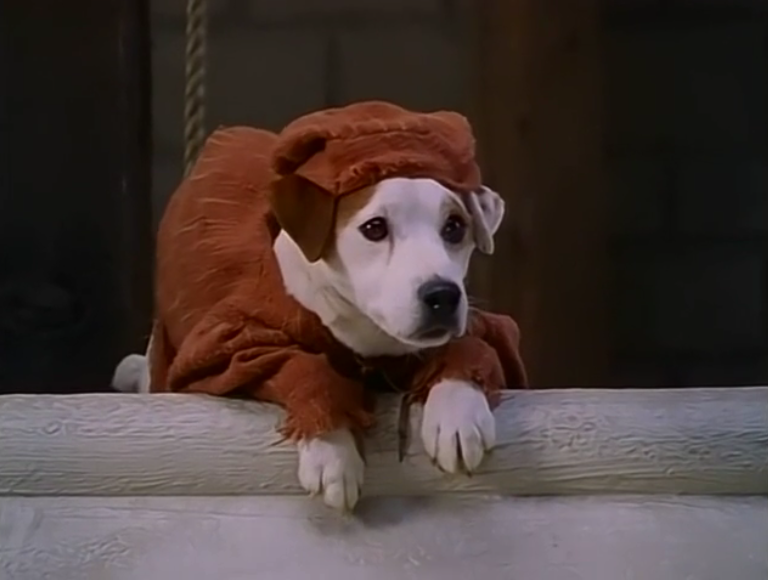 Wishbone’s erm…. Quasimodo’s silly lines keeps it lighthearted . I like part where Quasimodo in fear of Frollo compliments him. 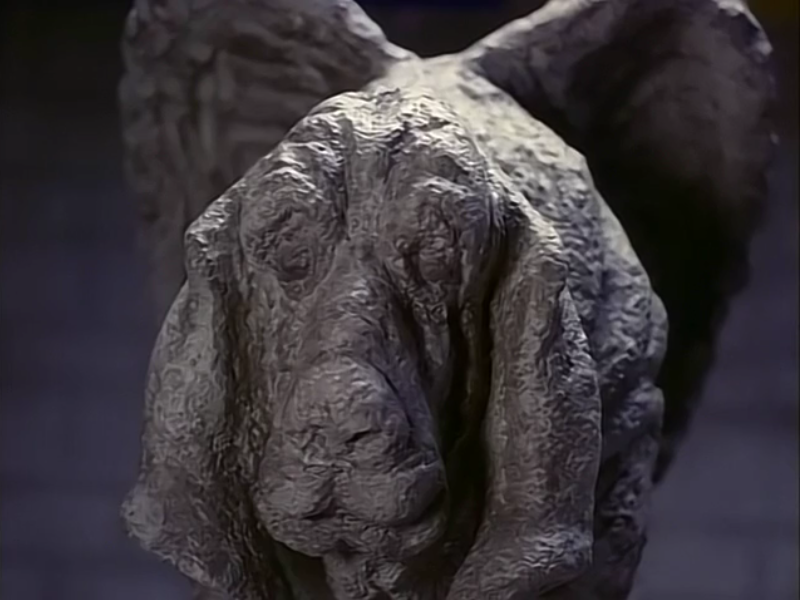 Plus Quasimodo is played by a dog, how is that not awesome? That is also one my favorites lines.